Kusatsu flourished as the "Shukuba" during the Edo period. Shukuba (post town) was officially founded on the highway as the transportation base for travelers' lodging, goods and mail. Among them, Kusatsu was a place for branching and merging with the two major highways, the Tokaido and the Nakasendo connecting Kyoto and Edo (Current Tokyo). It was also a lively place for many travelers and goods because it was connected closely to the way to Yabase port where was an important place of ship transportation of the Lake Biwa. Many facilities related to people and goods were lining up on that street of 1.3 km (0.8 miles), such as more than 70 inns, souvenir shops, hair salons, Kanme-aratame-sho (office that Inspected the weight of the luggage), Toiyaba (administrative office which sent luggage out to the next Sukuba), and agencies of Hikyaku (a person who delivered the mail). Even now about 150 years have passed, the road continues unchanged, so you can find reminders of the Edo period around there. Please enjoy the stroll in Kusatsu to be based in Kusatsu-juku Honjin and Kusatsu-juku Kaido Koryukan. 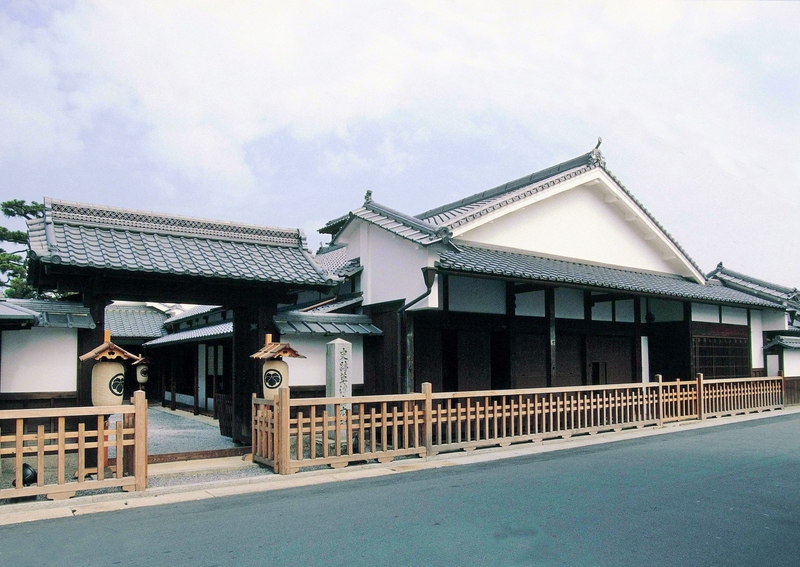 "Honjin” was the most prestigious accommodation in Shukuba (post town) in the Edo period. There were only one or two Honjin in Shukuba. It consists of a large land and a big building, and there were some special facilities that only the Honjin was allowed to make. 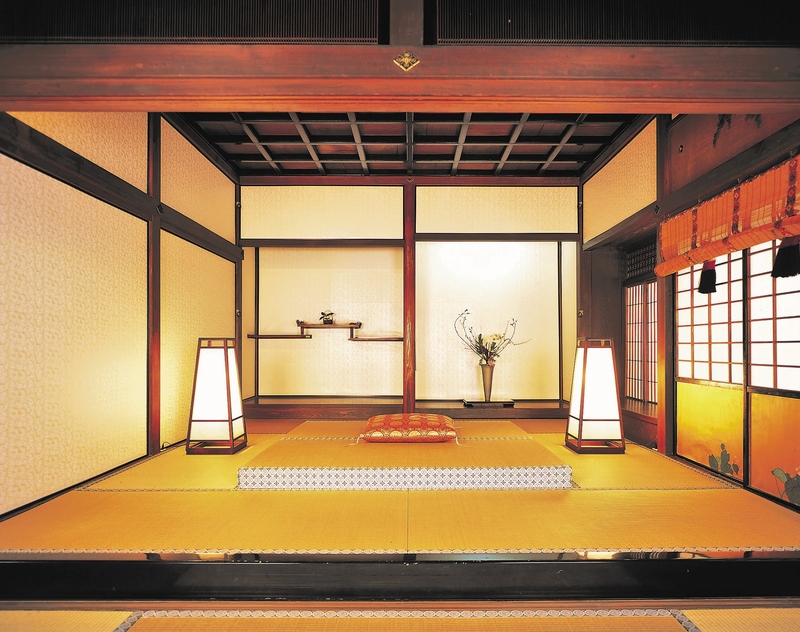 “Honjin” used to refer to the "military headquarters", but later because of the meaning of "the place where the shogun is staying”, it became to refer to “an accommodation facility for the exclusive use of elite of society, such as Daimyo (feudal load), Hatamoto (direct retainer of the shogun) and Kuge (the nobility)”. Kusatsu-juku Honjin was the landmark of Kusatsu-juku (Kusatsu post town) for about 240 years from the early Edo period to the early Meiji period. The books of guest records are written about many famous historical people rested or stayed. The buildings have remained since the late Edo period, have been preserved until the present after preservation repair. An example where the honjin remains as it is in the Edo period is rare in Japan, and “Kusatsu-juku Honjin” is one of the largest and is designated as a national historic site. Please visit and feel the atmosphere of the Edo period. If you want to know more about the history of Kusatsu, want to enjoy walking around the city, the first thing that you should visit Kusatsu-juku Kaido Koryukan. About 15 minutes on foot from Kusatsu station, you can learn about the state of Kusatsu-juku (Kusatsu post town) in the Edo period and the style of the olden travel at this historical museum which is built along the Tokaido highway. There is a cityscape model of the Kusatsu-juku in mid-1800s in size of 1/200 and also historical materials are exhibited. You will be able to know what the appearance of this Shukuba (post town) was and how journeys people in the Edo period had traveled. Also, we are introducing the history of Kusatsu more deeply, focusing on the theme at the exhibition held several times a year. In addition, in a popular experience corner, you can wear the olden traveling costume, ride a Kago (a palanquin), and print an Ukiyo-e (woodblock prints popular in the Edo period). Please feel the atmosphere of the Edo period at Kusatsu-juku Kaido Koryukan.